LANSING — As Tesla continues its fight to sell electric vehicles directly to buyers in Michigan, it’s challenging one of the state’s most powerful interest groups: the Michigan Automobile Dealers Association. Auto dealers have given more than $1 million to current state officeholders and their caucuses, according to a new analysis of campaign finance records. 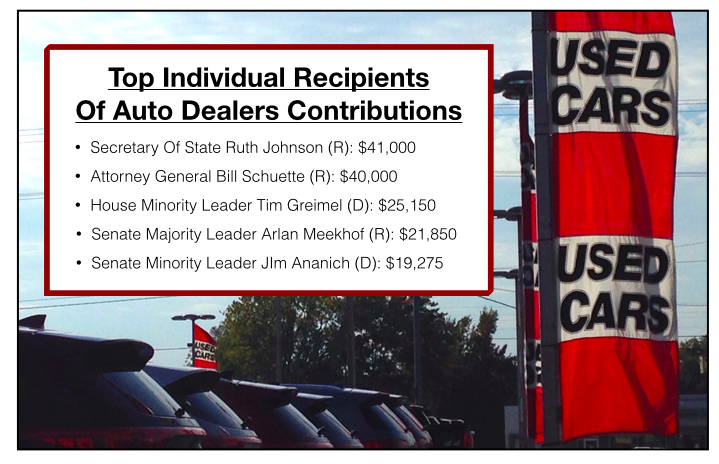 Since the start of 2011, the automobile dealers’ main political action committee (PAC), the Auto Dealers of Michigan, has contributed money to all but two of the 144 state lawmakers currently serving in the Legislature. The association ranks among the top 10 donors for about 40 percent of current lawmakers, according to Michigan Campaign Finance Network tracking data. When contributions to the four legislative caucuses, Gov. Rick Snyder, Secretary of State Ruth Johnson and Attorney General Bill Schuette are added to the contributions to lawmakers, the total amount given by the association reaches at least $1.135 million. Without success, Tesla, a California-based company, has sought to sell its vehicles directly to customers instead of through franchised dealers, as currently required in Michigan. Tesla has criticized the Michigan Automobile Dealers Association’s influence in Lansing. The suit specifically named Michigan’s incumbent auto dealers and General Motors as pushing for a 2014 law change that strengthened Michigan’s ban on direct sales by auto manufacturers. “The Michigan dealers do not want you here. The local manufacturers do not want you here. So you’re not going to be here,” Tesla quoted an unnamed Michigan lawmaker in its court filing. The lawmaker allegedly made the comment at a June 2016 meeting. Auto dealers from across Michigan help fund the association’s PAC. It’s a PAC that gives heavily to both Democrats and Republicans. Since the start of 2011, the PAC has given $115,000 to the Senate Republican Campaign Committee and $57,500 to the Senate Democratic Fund. It’s given $100,000 to the House Republican Campaign Committee and $60,000 to the House Democratic Fund. As another example of its bipartisanship, the Auto Dealers of Michigan gave $1,000 on the same day, June 18, to two candidates who are now running against each other in the 30th House District. The candidates were Republican Diana Farrington and Democrat Michael Notte. Among the PAC's top individual recipients, Secretary of State Ruth Johnson and Attorney General Bill Schuette, both Republicans, have received $41,000 and $40,000 respectively. Meanwhile, House Minority Leader Tim Greimel (D-Auburn Hills) has received $25,150. Gov. Rick Snyder’s campaign committee doesn’t accept PAC contributions, but Snyder's own PAC has received $2,000 from the Auto Dealers of Michigan. Snyder has received at least $15,200 from individual auto dealers who also help fund the association’s PAC. On average, Michigan state lawmakers have taken about $4,929 each from the Auto Dealers of Michigan, according to MCFN’s analysis of campaign finance records. Asked about the association’s political contributions and how they could impact the Legislature’s debate over Tesla, Terry Burns, executive vice president of the Michigan Automobile Dealers Association, said the association’s giving patterns haven’t changed in recent years with the Tesla matter before the Legislature. The PAC raises about the same amount of money it previously did, he said. It continues to give to both Republicans and Democrats, he said. And the association continues to avoid making contributions to non-disclosing corporate accounts, he added. The association is transparent, and its contributions are driven by members, Burns said. “We’re proud of the way our PAC operates,” Burns said. On whether the large number of political contributions gives the dealers an advantage over Tesla, Burns argued that’s not what gives the dealers an advantage. Burns said Tesla could choose to comply with Michigan’s current laws instead of fighting them. The laws, he said, are “very easy” to comply with. In its court filing, Tesla also identified General Motors as trying to block its efforts to sell vehicles directly to customers in Michigan. Tesla allaged that General Motors views Tesla as a “competitive threat” to General Motors’ electric vehicle programs. The main PAC for General Motors has made about $272,065 in contributions to current state officeholders and their caucuses since the start of 2011. Over that time, only one officeholder hasn't taken money from the PACs of either General Motors or the auto dealers: Rep. Rose Mary Robinson (D-Detroit). Rep. John Kivela (D-Marquette) has received money from General Motors but not from the Auto Dealers of Michigan. Miller, who has received $375 from auto dealers to his leadership PAC, sponsored a bill earlier this year that would allow Tesla and other manufacturers to sell vehicles directly to customers in Michigan. It’s House Bill 5312. Because of timing and lack of support, Miller believes his bill to alter the direct sales ban has died for this legislative session, he said. But the issue itself isn’t going away, Miller added. Tesla doesn’t have a PAC that’s active in Michigan. However, it has been active trying to lobby key Michigan lawmakers. As MCFN wrote last month, Tesla spent at least $6,249 on travel and lodging for Michigan lawmakers in the first seven months of 2016. Three of the five lawmakers who received the disclosed trips were members of the House Commerce Committee, to which Miller’s bill was referred by House leadership. 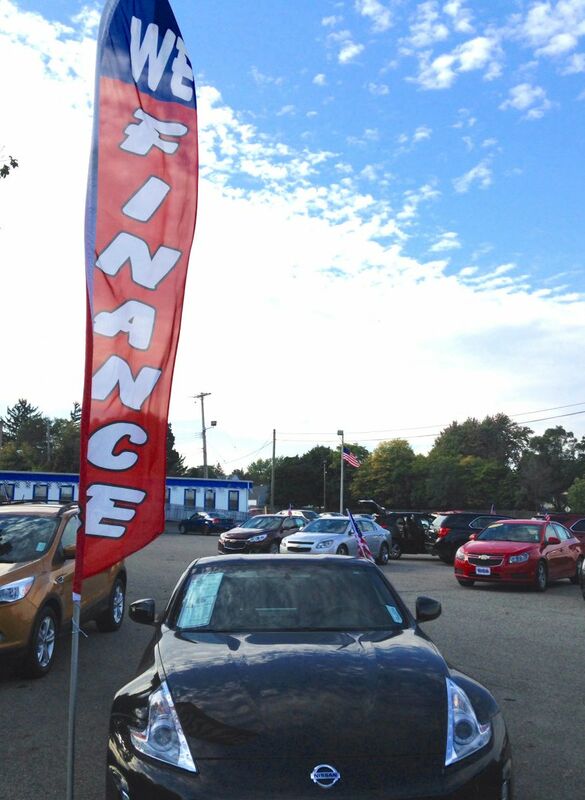 To see how MCFN tracked $1 million in Auto Dealers of Michigan contributions, click here. CORRECTION NOTICE: This piece originally said three lawmakers hadn't accepted money from the Auto Dealers of Michigan. However, only two haven't. 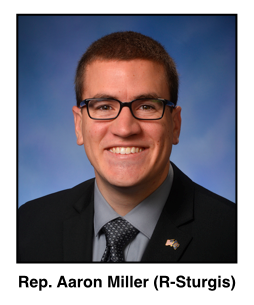 Rep. Aaron Miller has received money through a leadership PAC.